I love lava cakes, but sometimes I just want a super-quick chocolate fix. 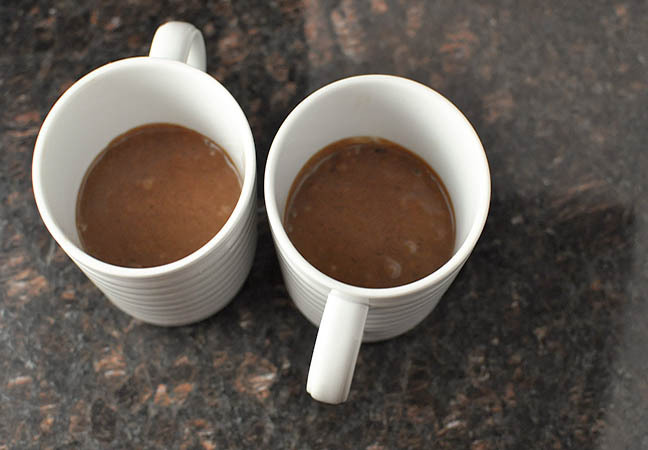 This espresso chocolate cake in a mug recipe is a weeknight-worthy substitute that I make right in the microwave. I make cake in a mug at least once a month, especially if my husband and kids aren’t around for dinner and I’m craving something warm and sweet after dinner. 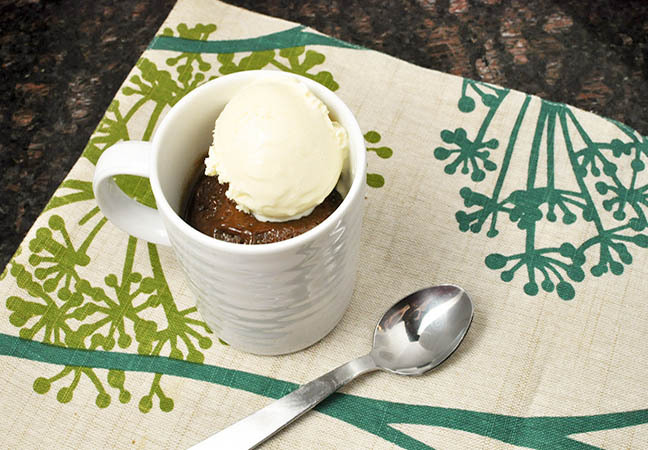 This cake in a mug is over-the-top gooey and cleanup is as quick as throwing the mug in the dishwasher. 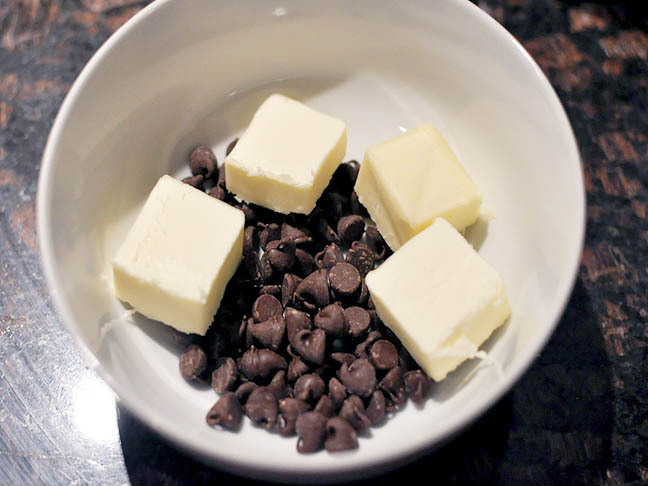 Step 1: Melt the chocolate and butter in a small microwavable bowl until melted. Remove from the microwave and whisk until chocolate is melted. Allow to cool slightly before whisking in eggs, sugar, and vanilla. 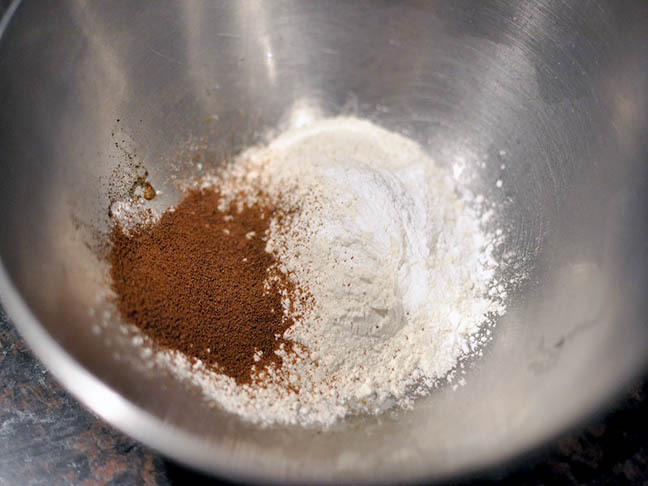 Step 2: In another medium sized bowl, whisk together espresso powder, flour, salt, and baking powder. 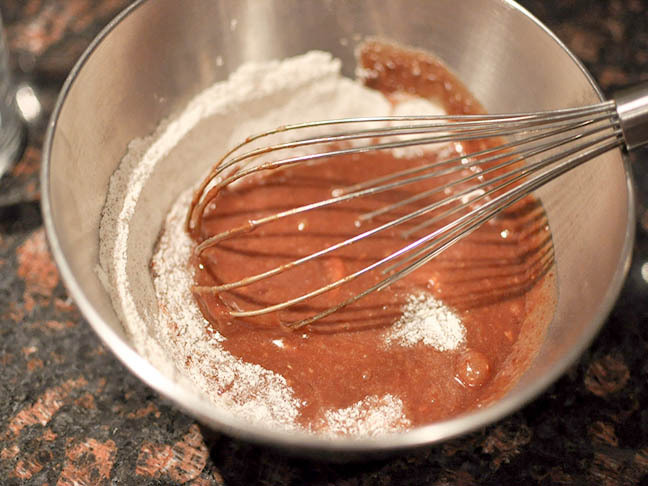 Whisk dry ingredients into wet ingredients until well combined. Step 3: Divide batter among two microwavable mugs. Place in microwave. Cook time will vary depending on microwave, but generally this cake in a mug cook in 30 seconds on HIGH. 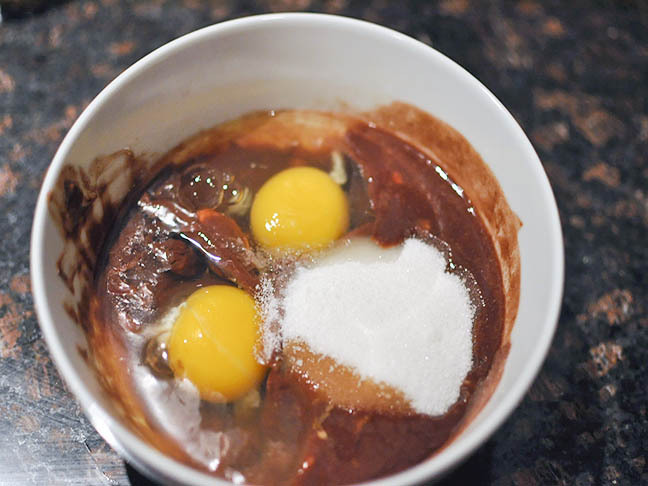 Mug cakes will still look wet, but resist the urge to cook longer if you want to have a molten texture to your cakes. Step 4: Serve cake in a mug immediately, topped with ice cream or whipped cream.